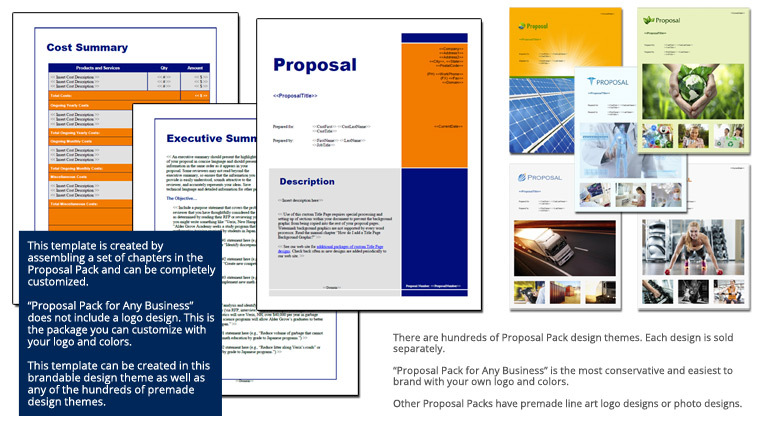 This 36 page layout is included with Proposal Pack. Create variations of this document of any length to suit your specific needs. Order and download for $79. This set of templates was used to create a business plan seeking funding to open a pharmacy. create a 9 page document that looks absolutely fabulous. Without a doubt it will help in creating proposals. I’ll either be able to create them faster or if I take the same amount of time they will look much much better. This product is absolutely worth every last penny."